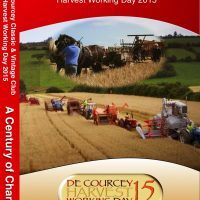 The DVD of this years Harvest Working Day is now available to buy. 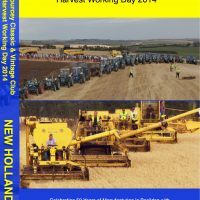 New Holland joined this year, celebrating 50 years of manufacturing in Basildon, UK. A range of Ford and New Holland tractors from Keith Byran’s 1918 model F, to Jim O’Regan’s 2014 T7.260, gave an unforgettable display of ploughing. 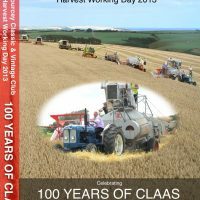 Donal McCarthy’s team of Clydesdale horses were joined by Fordson model F’s, N’s, Ford Nans, Majors and Dextas with a mixture of trailer and hydraulic ploughs. The thousand series up to the modern T6’s and T7’s with their huge reversible were all represented. The final sequence in the ploughing area was a spectacular line up of the 24 participants in a single line spanning 96 years of progress. 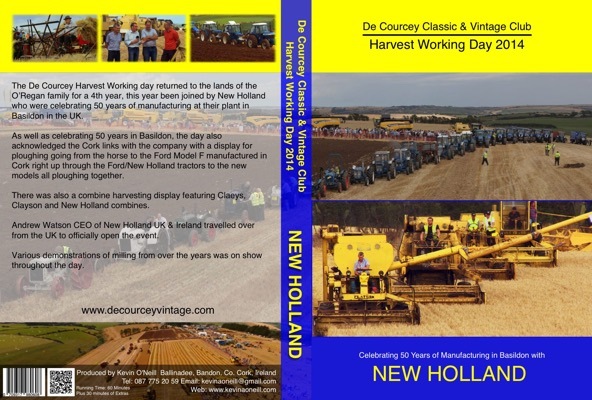 This entry was posted in Events, New Holland, News and tagged Claeys, Classic, Clayson, Clydesdale, Courcey, Day, De, DVD, Ford, Fordson, Harvest, New Holland, Pat O'Donovan, Production, Vintage, Working on November 28, 2014 by admin.